Recently I decided to build upon the skills I have been learning with using Facebook Ads and couple it with my knowledge of building an email list. Why not use Facebook to build an email list? I have been using giveaways to grow my email list. Building a list with a giveaway run through Facebook Ads can easily add hundreds of email subscribers to your list. Once you have built a list – even a small list – you can easily monetize that list. Let me show you how I have done this. A giveaway is a campaign where everyone receives something in exchange for their data. It can be a small gift, a product sample or a free consulting session that helps your business to increase awareness and drive sales later. The item that you are giving away must provide enough value to entice a visitor to give you their email address in exchange. You are probably familiar with the saying “the money is in the list.” In the world of email marketing it’s very important to get qualified leads for your email list. What do these qualified leads mean? Well it consists of people who won’t unsubscribe from your emails and who are really interested in your news. These leave will become your most enthusiastic fans and they will always hold a potential for you to sell your products/services to. If you are promoting hand poured soy candles then you would not want people on your email list that are interested in deep sea fishing. If you email to this person they will unsubscribe and possibly report your email as spam. To succeed with email marketing your need highly qualified leads. A giveaway can help you easily attract these leads to your email list. The first step is to determine what niche you want to focus on for your giveaway. I considered fitness, geocaching and growing an indoor herb garden as my niche. 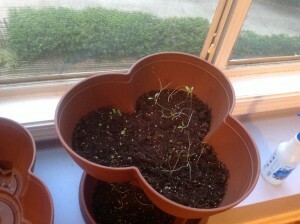 The indoor herb garden came about because I have recently greatly changed my eating habits. Now I am eating more grain free and gluten free meals. As a result I have dropped from 172 pounds down to 155 pounds today and still going. I created an indoor herb garden so I could have fresh herbs to eat with my new menu changes. But I passed because my indoor herb garden is still in the growing phase and has not yet produced anything plus I think I should have added more soil to pot. So this left me with the fitness niche. This niche is highly competitive so at first glance it might not have been a good choice. Instead I decided to focus on a sub niche of the fitness arena called GoRuck. 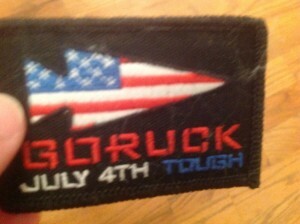 On July 4th of this year I did my very first GoRuck event. It was the 12 hour GoRuck Challenge. One thing I noticed about my very first GoRuck event was that out of 30 attendees there were only 6 first timers. There were 24 people that had signed up for their second, third and even twenty second GoRuck event. Clearly the people who follow GoRuck and rabid and dedicated fans. Since I was familiar with GoRuck I decided to promote to the GoRuck audience for this giveaway. The second step is to determine what you are going to give visitors in exchange for their email address. A successful giveaway campaign will offer prizes that are of great interest to the visitors For example I recently ran a giveaway where I gave away 3 items that would be of interested to people that have done or want to do a GoRuck event. The third step is to create your giveaway page. Your giveaway page is where you are going to collect your visitors email address and any other pertinent information in exchange for letting them enter the contest. The most important thing to remember for your giveaway page is that you want to reduce barriers to sign-up. Have you ever gone to a website and waded through a long form entering information like your name, address and phone number and then click submit and the be presented with an error message that you did not fill in the phone number field correctly? How did you feel when you got that error message? Were you highly motivated to go through and complete that long form again or did you just say forget it and move on without completing the form? Get the users email address first. That way you can still email them, otherwise you risk that they don’t signup due to information overload. There should be no extra steps other than highlighting the email field & entering their email address. Don’t make the user delete a placeholder email. Since I am using LeadPages I created my giveaway page using their LeadBoxes technology. The fourth step is to determine how long to run your giveaway campaign. Realize that most people are interested in instant gratification than putting in a long term effort before achieving the same level of gratification. For that reason it is best to have a shorter time length for your giveaways. I would recommend doing a giveaway for 5 days or 7 days. Doing a month long giveaway is too long. People might see your ad, click to your giveaway page and see that the contest does not end for another 27 days. They will decide not to enter now but come back later before the contest ends. The problem is that a majority of these users will never return. If you do a 5 day or 7 day giveaway period, people will see that the contest will end in just a few days so they will be more motivated to enter. The fifth step is to create an ad on Facebook. You want to target your ad toward people that are interested in GoRuck. I used two methods for targeting in my Facebook Ad. First I targeted people who are interested in GoRuck that are between the ages of 21 and 40. My ad type is clicks to website. 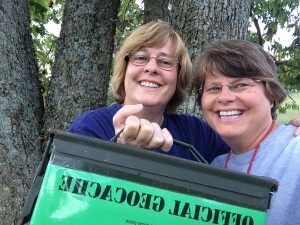 I chose that age range because in my GoRuck Challenge event, I was the oldest person at age 52. There were two guys in their 40s and the rest were in their twenties or thirties. The youngest person had just turned 18. The second method of targeting was using my Facebook pixel that I have placed on my affiliate websites. If you are not familiar with the Facebook tracking pixel that you need to read my post on how to create custom audiences on Facebook from visitors to your website. The sixth step is to communicate with your list. The first email should be sent immediately after someone enters your giveaway. This email will remind them what they could win in the giveaway and the date the giveaway ends. You should also encourage them to get their friends and family to enter the giveaway too so include a link to the giveaway in the email. They can then forward this email to their friends and family to enter. I also recommend sending an email to everyone that has entered two days, the day before and hours before the giveaway ends. You can remind them about the giveaway prizes in this email and let them know the date and time you will be selecting the winner(s). Also encourage them again to get their friends and family to enter. Once the giveaway ends send an email to everyone letting them know the name of the person that won the giveaway. That lets them know the giveaway was valid. The seventh and final step is to monetize the new list that you just built. You can start monetizing your list with the email that you send announcing the winner of the giveaway. In that email you announce the winner of the giveaway. You can also tell people that did not win that they can purchase the items offered in the giveaway and provide links to the item(s). Make sure your link has your affiliate code attached to it so you can get a commission when somebody purchases the item(s). After the contest is over you can send regularly scheduled emails to the list providing valuable content and then an offer. The rule of thumb is you send 3 emails of valuable content and then an offer and repeat sequence. For my list I sent out emails talking about the pros and cons of using compression socks when competing in endurance events like GoRuck, should you pay almost $300 for a GoRuck backpack or were their better options available and should you wear cotton t-shirts or a dri-fit t-shirt. For these emails I talked about why you would wear compression socks, their advantages and the benefits. I also played devils advocate and talked about why you should not wear them and use regular running socks instead. This allowed the list to get a perspective from both sides of the coin. At the end of the email I included links to compression socks as well as running socks listed on Amazon. Of course these links included my Amazon affiliate code. I did the same thing for the other emails where I provided an unbiased review of the GoRuck backpack vs three other backpacks that were cheaper. I included the links to purchase both. When GoRuck announces new products like gun cases or a black backpack with red webbing, I immediately send an email to my list letting them know about the new products. This allows me to easily monetize the list that I have just created. If you want to see my giveaway landing page and the emails that I created for my list just click the button below. This post has helped me to think outside the box. Like most people, my strategy for growing my list is via search engine traffic, but as the old saying goes, it’s important not to have all your eggs in one basket. I’ve been needing alternative traffic sources to give my business that bit more security, and sign ups via facebook could be a winner. I’m not naive enough to think it’ll be super easy straight away. However well someone guides you, there’s still bound to be a learning curve…things you just have to find out on your own. It’s like that for everyone though. Everything will have a learning curve. You just have to be dedicated enough to push through regardless of how long that learning curve lasts. And Yes I think Facebook would be a great alternative source of traffic for you. 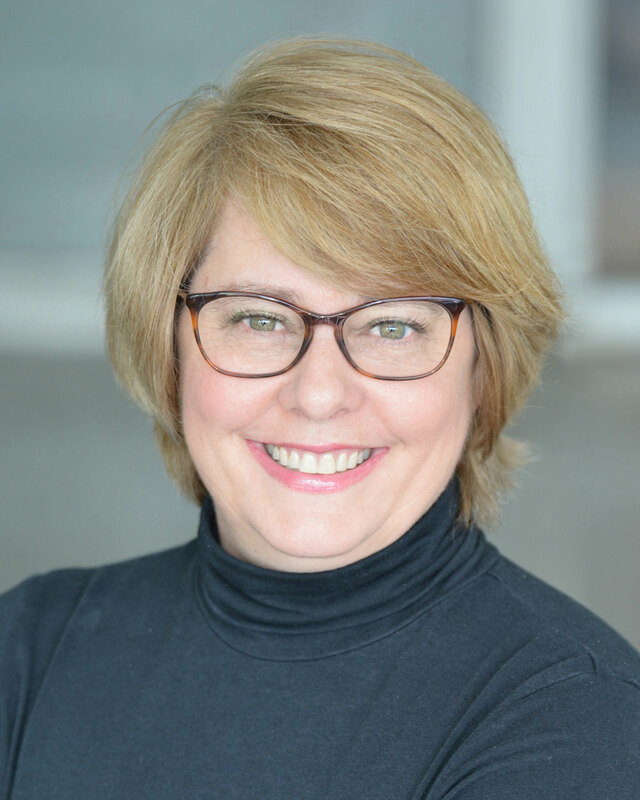 Hi Jennifer GREAT CONTENT and GREAT SENSE OF HUMOUR! I’m brand new at this and have been trying for years to generate money online. I’m a fantasy/fiction writer that creates products all the time but didn’t know how to monetize them. Hit me up on FACEBOOK for a chat as I have a unique idea I’ll be launching once I figure this whole thing out and thanks again! If you are good at creating products then you should definitely hire yourself out to others that have big lists and create products for them that they slap their name on and sell and you share in the profits. When I first started I was a ghost writer and I wrote on topics as diverse as making beer at home to using water to lose weight to battling bugs with home remedies. Can you please mentioned the 3 items which you had given as a giveaway to the subscribers? If you go to the bottom of the list there is a button to get the bonuses for this post. In there I show you the exact landing page, facebook ad and the emails I sent to the list. You will get the list of products there. As to your questions, I do not have a problem with your pop up. You phrased is well and it was not annoying. I missed the welcome gate, or didn’t see it, not sure. The way I was directed to this post was the same though both links in the email? I was not pleased with the welcomegate but tried it anyway. It only took one person to send me an email saying that they did not like it to reinforce what I felt about it. I have since removed it so that when you reach my website it takes you to the list of posts. Thanks for the feedback on the popup. So you purchased the goods for the giveaway. How much did it cost to run the adverts? And how many people did you get on your list? I like the idea but can’t think of a particular interest that has products I could recommend. This is where I tend to get stuck. For the GoRuck Giveaway I added about 120 people to my list. Cost to purchase the items was like only $10 and my ad cost was less than that. Wow – I keep seeing that Ads are costing around $10 a day. That is something that puts me off because I don’t really have that much to spare. But to spend around $20 for an extra 120 subscribers sounds great. What you might be seeing is that most people cap their daily budget at $10 per day. Your ad may not spend that entire $10 in one day but having a cap means you will not wake up the next day and find Facebook spent $100 on your ad if you did not have a cap. Like anything you must start to get results. Even if you start small remember that a penny doubled every day become more than $5 million after just 30 days. So start small and let it grow. What would you suggest using for valuable content if you are not a writer and are targeting a niche you might not have huge amounts of knowledge in just yet or are trying more just to promote and use to build lists? I have a blog post on super sizing your income by outsourcing the writing to others. My strategy is to post a job on eLance (never had much success with oDesk) to say write me 5 x 1,000 word articles on your niche. I then get bids from about 15-20 people. I will go through and select about 5 of the writers that have a good track record and I think will do a good job. From that 5 the rule of them is you get 1 outstanding writer and 1 terrible writer and 3 above average writers. You can use the outstanding writer from now to write for your niche and if they are busy then you have 3 other above average writers that you can hire.